Southside Wheely Wheelers cycling club held a cycling coaching presentation evening by qualified Cycling Ireland coach Tom Shanahan at 7pm on Tuesday the 18th of January. Tom covered all the basic cycling skills in two hours, including bike position setup, bike skills, braking, cornering, climbing, descending, cycling in groups, clothing, food nutrition and many other cycling techniques which were presented by Tom in a friendly and easy way to understand. Tom completed the presentation with a question and answer session. Tom will attend a number of Southside Wheely Wheelers Sunday training cycles to help improve club cyclists cycling skills, improve fitness and set cycling goals to enjoy cycling leisure tour events in 2011. Southside Wheely Wheelers are very fortunate to have Tom Shanahan as our first Cycling Ireland Coach to start training our new cycling club. Tom is one of the top cyclists in Ireland and has a wealth of experience and knowledge of cycling and this experience has led Tom to take up the roll of a Cycling Ireland Coach. Tom is currently the secretary of the Munster Council of cycling and the secretary of the Limerick Cycling Club. 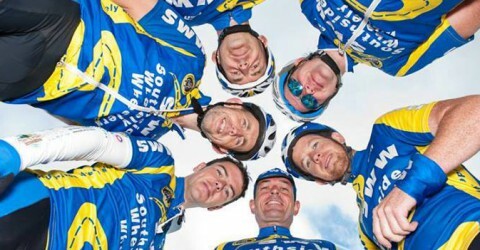 Tom has agreed to help coach our new cycling club in 2011 by starting the coaching with a presentation at 7pm on Tuesday 18th January in the Deebert Hotel Kilmallock, meeting room upstairs. Tom will start with the basic cycling skills and will continue the training on the road at our weekly Sunday Training.